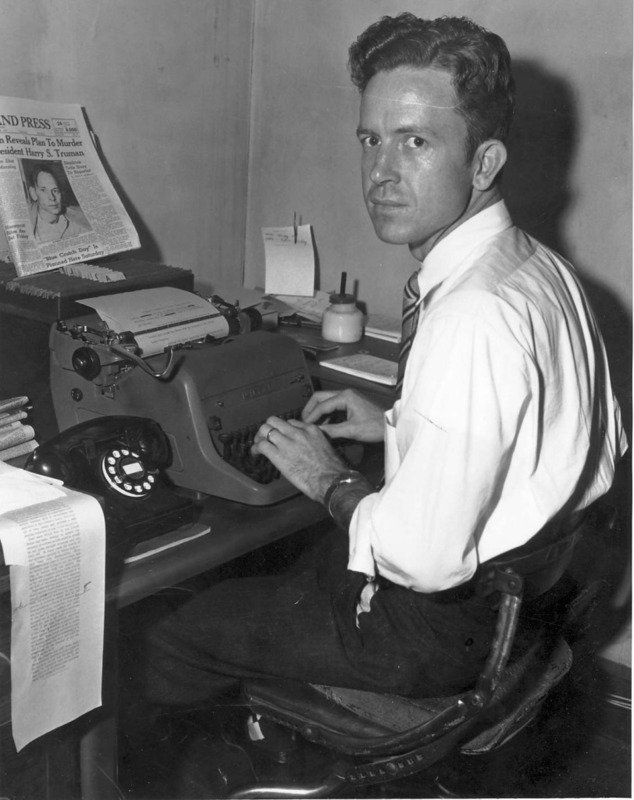 Journalist and author Fred Morgan at his desk at the Stanly News and Press. Fred T. Morgan is a longtime resident of the Uwharries. He worked for thirty-four years as the award-winning Feature Editor for the Stanly News and Press. He has also written special projects for corporations such as Ford and Alcoa, and authored numerous magazine articles. His published books include Ghost Tales of the Uwharries, Haunted Uwharries, The Revolt and 28 More Original Uwharrie Ghost Stories and Uwharrie Bizarres. His fascination with the Uwharries began in high school when he learned that they are remnants of the oldest mountain range on the North American continent. Since then, he has explored most of the rural areas in this seven-county area and talked to many of the residents. Uwharrie Bizarres is the last book in the Uwharrie series. All four scrapbooks are also available for PDF download from DigitalNC.